We work at full throttle to make available the best quality Pigment Blue 199 to the length and breadth of the country and abroad. 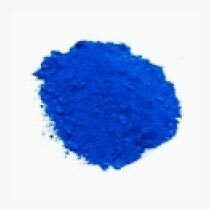 We are one of the top-notch Manufacturers, Exporters, and Suppliers of Pigment Blue 199 from Gujarat, India. The Pigment is appreciated for its mazing blue color, whose texture is so smooth. Its chemical and physical properties are ensured to be the same as desired.